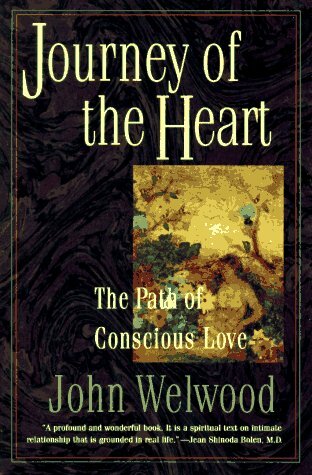 John Welwood has studied, taught, and written about the relationship of psychotherapy and spiritual practice for thirty years. He is currently the editor of the Journal of Transpersonal Psychology and author of Journey of the Heart. We’ve all seen that dynamic play out in headlines of scandals involving both eastern gurus and western clergy. Other consequences of an exclusive focus on the transcendent are less dramatic but far more pervasive. I once attended a talk presented by a large organization that teaches eastern spiritual practice. The group is well regarded – never a hint of scandal. During the Q&A following the talk, one young woman said, “I cried when cat died recently. Was that okay?” Everyone breathed a collective sigh of relief when the speaker said yes. One Indian teacher, Swami Prajnanpad, whose work I admire, said that “idealism is an act of violence.” Trying to live up to an ideal instead of being authentically where you are can become a form of inner violence if it splits you in two and pits one side against the other. For anyone interested in or engaged in spiritual practice, this is a worthwhile article to consider, as John Welwood tries to articulate the vision of a spiritual discipline that aims to fully develop both “poles” of our nature, the human and the divine. This entry was posted in Psychology, Spirituality and tagged Psychology, spirituality. Bookmark the permalink.